DESCRIPTION Opportunity to own the largest sub-penthouse suite on the highest released 40th floor of The Guardian. This alluring 'white on white' paramount suite exudes luxury boasting floor to ceiling windows with stunning panoramic city, mountain, and river views. Featuring +2,400 sq. ft., 2 bedrooms, 2.5 baths, 3 expansive and wrap-around balconies (approx. 600 sq. ft.) and 2 titled tandem parking stalls for 4 vehicles. Entertain in style with modern, open concept design and well-appointed finishes including 9.5' ceilings, wide plank hardwood, travertine floor tile, Italian Armony Cucine cabinetry, quartz countertops, and integrated Miele kitchen appliances. Master 'wing' is a dream with spa-inspired ensuite, free-standing tub and custom dressing room to die for. Building amenities include state-of-the art fitness centre w/yoga studio, resident's club & garden terrace, concierge and security. 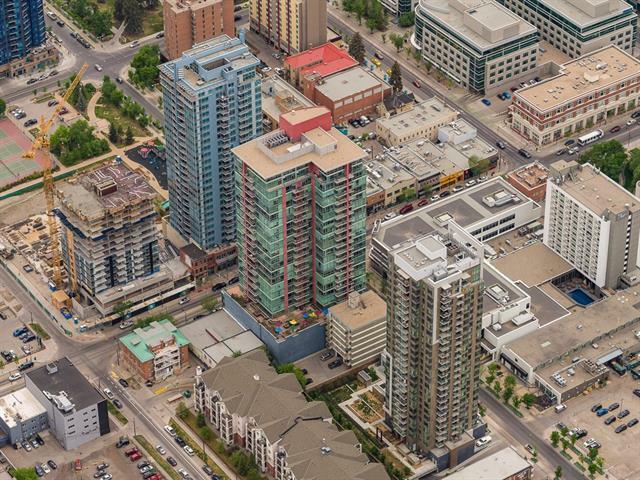 Located in heart of entertainment district close to Downtown, Stampede Park, and Saddledome. Live at the top in style! Home for sale at #4003 1188 3 ST Se Calgary, Alberts T2G 1H8. 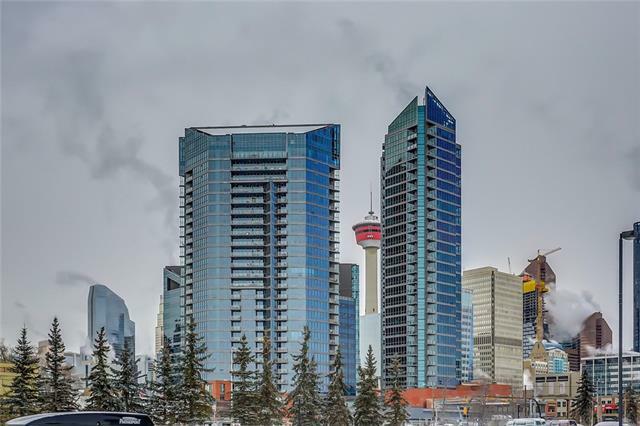 Description: The home at #4003 1188 3 ST Se Calgary, Alberta T2G 1H8 with the MLS® Number C4215407 is currently listed at $2,450,000.